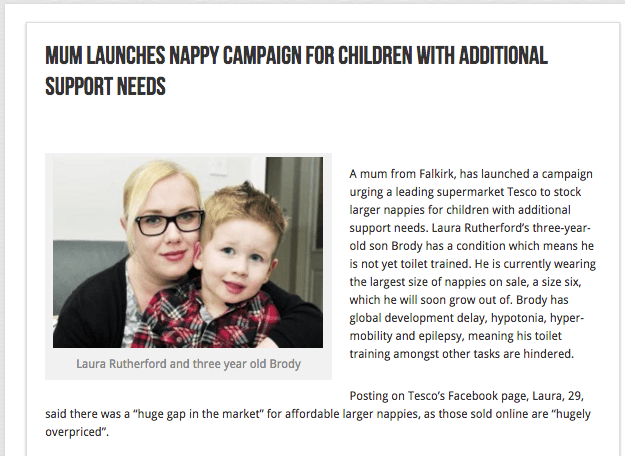 Mum, Laura Rutherford, last week launched a campaign to get leading Supermarkets to stock larger sized nappies for children with additional support. This arose from Laura contacting supermarket Tesco via Facebook to urge them to stock larger nappies. Laura Rutherford’s three-year-old son Brody has a condition which means he is not yet toilet trained. He is currently wearing the largest size of nappies on sale, a size six, which he will soon grow out of. Brody has global development delay, hypotonia, hyper-mobility and epilepsy, meaning his toilet training amongst other tasks are hindered. After a huge amount of support towards the campaign Laura has launched a petition via change.org. Please help Laura by signing the petition and sharing to show your support and hopefully get these products introduced to our shelves. The 4th exclusive OT Practice Conference opens its doors to new recruits for the very first time!